Dev began his career in telly when he and a childhood friend piloted for a new kids TV show for a laugh. To his surprise he got the job and was soon on BBC2 every Sunday morning masquerading as a presenter come DJ to millions of young people. His popularity was undeniable and shortly led to new BBC digital music station 1xtra knocking on his door. After a few pilots he had his own Saturday show on the station, enabling him to fuse his passion for music with his new love, radio. 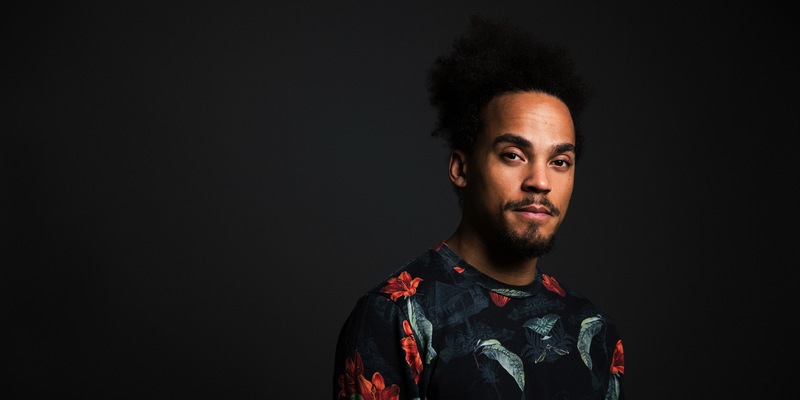 For a while Dev juggled his radio show with DJing, whilst managing to film a sitcom and help write another CBBC show called “The Crust” with school friend Reggie Yates. However, keen to hone his craft within radio, he made the tough decision to step away from TV work to concentrate on his 1Xtra show. The decision soon paid off and after a short stint hosting early Breakfast on the station the powers that be moved him over to BBC juggernaut station Radio 1. Dev began on weekend early breakfast and then, after gaining significant momentum, he started on weekday early breakfast, firstly before the then host Chris Moyles and then Nick Grimshaw. Dev now hosts the weekend breakfast show from 6am - 10am. At the same time as doing early breakfast on Radio 1 Dev managed to complete a music degree and also began running a recording studio in North London. He now produces and remixes for lots of different bands and artists as well as doing his own stuff which has been played on several national radio stations including Radio 1 and 1xtra under various pseudonyms. DJing is still one of Dev’s passions, always playing a mix of electronic and high-octane party records. He has played at most Radio 1 Big Weekends, Ibiza, pretty much every holiday resort you can name, as well as clubs and student unions up and down the UK. Anyone that has ever seen him play knows that he really gets into the set leaving the booth with a sweaty fro and the dancefloor wanting more! In 2017, Dev achieved a lifelong dream of competing on Celebrity MasterChef. He surprised everyone by not only making it through the first round but then making it all the way to the final! It was a huge achievement for him and reignited a passion for food which has since lead to hosting regularly for BBC1’s Saturday Kitchen. TV career is going from strength to strength. Most recently hosting for BAFTA TV Awards, which saw him cover all the red carpet and backstage action with all the nominees and winners. He has a whole host of documentaries under his belt for BBC iplayer including, “Batman vs Superman”, “Baby Metal”, “The truth behind Star Wars”, “Can you live without your phone”, and “The Live Lounge Uncovered” as well as live streams for BBC3 / BBC Sport covering “League of Legends”. Dev also gets booked for entertainment formats such as “Im A Celeb Get Me Out Of Here Now” on ITV2, “Bargain Hunt” on BBC1, “Wild Things” on Sky 1 and “Celeb Mastermind” on BBC1.